Why Is Sitting Down Really Bad for You? Bean Bags R Us NewsBean Bag ChairsIs Sitting Down Really Bad for You? Is Sitting Down Really Bad for You? Activities common to nearly everyone may pose health risks, and several recent studies suggest that even the most benign undertakings may have serious consequences. Several of these studies have proven to be shocking because they target one of the universal activities in the animal kingdom: sitting. The mere act of sitting has been shown to have negative consequences, especially when it is done for several hours each day. However, you may be able to avoid the risks by engaging in healthy sitting practices, such as sitting only when necessary or sitting in a large bean bag chair. James Levine, a medical scientist at the acclaimed Mayo Clinic, is recognised as one of the leading authorities in inactivity studies and has introduced a new model of research in the field that goes beyond simple surveys. Since 2005, he has used live participants sitting in isolated capsules called Bod Pods wired to a host of diagnostic computers. Levine’s initial goal was to discover why some people gain more weight than others do while eating the same amount of food. “We measured everything, thinking we were going to find some magic metabolic factor that would explain why some people didn’t gain weight,” said Dr Michael Jensen, a researcher assisting in Dr Levine’s project. What they found, however, was something unexpected. “On average, the subjects who gained weight sat two hours more per day than those who hadn’t,” Jensen stated in conclusion. Too much of anything is bad for your health, but too much sitting can lead to particular problems with your organs, muscles, back and other parts of your body. Heart – When sitting for extended periods, blood flows slowly, and muscles burn very little fat, causing it to accumulate in the arteries and heart. Research shows that excessive sitting leads to high blood pressure and elevated levels of cholesterol. Also, statistics prove that sedentary people suffer from twice as many heart attacks than more active people. Pancreas – Idle muscles do not respond to insulin, and this causes the pancreas to produce an overabundance of this hormone that handles carrying energy in the form of glucose to the body’s cells. This abundance can lead not only to diabetes but also to several other severe medical conditions. One study conducted in 2011 shows that insulin response sharply decreases after just one day of prolonged sitting. Colon, breasts, and endometrium – Sitting has been linked to the development of colon, breast, and endometrial cancer for reasons that are still unclear. Some researchers believe that unprocessed insulin in the blood leads to unchecked cell growth, but others say that a lack of movement lowers levels of antioxidants in the bloodstream, which can eliminate cancer-causing free radicals. Abdominals – When standing or moving, your abdominal muscles work to keep you held upright, but when sitting in a chair, especially when slumping, they go unused and tend to degenerate. This lack of use also causes your back muscles to tighten, which limits your range of motion and abnormally arches your back when it should be straight. Hip Flexors – Strong hips are necessary to keep you balanced, but sitting causes them to shorten and tighten. This shortening is one of the top reasons why seniors are prone to falling. Sitting continuously for several hours slows your circulatory system, and fluids tend to sink into the lowest regions of the body: your legs and feet. Fluid retention can cause edema and swollen ankles, and it may lead to more serious problems, such as deep vein thrombosis. Also, when you walk and run, the weight of your body causes your legs to become stronger and your bone density to increase. Excessive sitting is attributed to osteoporosis and other degenerative bone conditions. The movement of your muscles helps your heart pump oxygenated blood to your brain. When your muscles are immobile, brain functioning slows and significant, mood-enhancing chemicals do not reach the receptors that need them. Sitting at a desk also causes you to crane your neck forward and out of alignment with your spine, which can lead to permanent imbalance and strain. This lack of movement is also related to slumping and slouching, both of which are responsible for overextending the muscles in your shoulders and back. When it comes to your back, sitting is one of the worst things you can do. The discs between your vertebrae require oxygen and nutrients from freely circulating blood. But sitting causes the discs to become unevenly compressed, and it causes the collagen to harden around the tendons and ligaments that support your spine. What can you do to counter the effects of long term sitting? 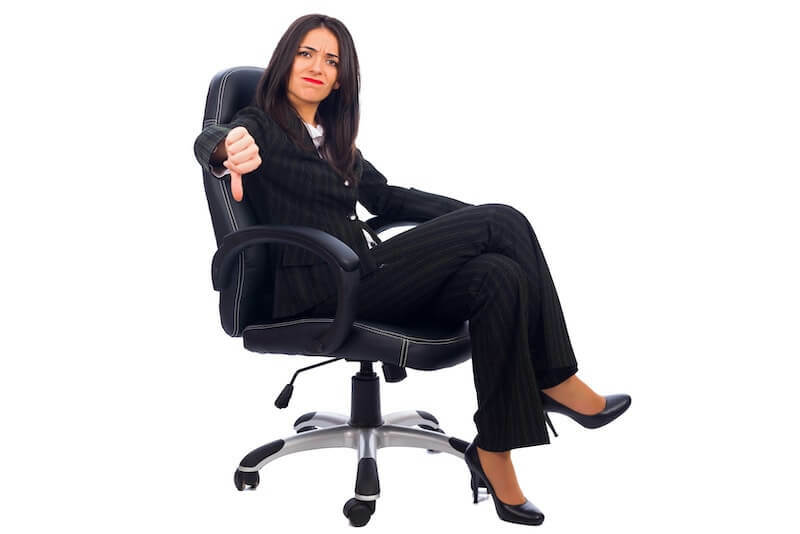 Sit on backless furniture or something unsteady, such as a bean bag, exercise ball or stool. Get up and walk around your cubicle, room, home, office or neighbourhood at regular intervals throughout the day. Practice yoga, walk in place or use a stationary bike instead of sitting. While everyone sits for some time during each day, excessive sitting may lead to one or more serious medical conditions. To avoid these maladies, it is advised to limit your sitting or to sit on an ergonomic sofa or large bean bag chair.